Chapter 5: The Academic as Politician, Episode 2: Chicken in a Pineapple Patch is OUT NOW! Chapter 5: The Academic as Politician, Episode 1: Curtain Call is Now Out! This was the year of the “Bahtera Wawasan” campaign. 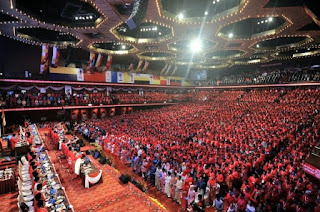 Emerging from the 1987 TeamA-TeamB split, and the subsequent outlawing of UMNO to be replaced by the New UMNO (UMNO Baru) party under the leadership of Dr. Mahathir and Ghaffar Baba, his deputy as president of UMNO (and by tradition the sitting Prime Minister) and deputy prime minister respectively, a team of Young Turks, all strong supporters of the Prime Minister and were senior members of his cabinet (including two MBs), formed a slate (called Bahtera Wawasan – the “vision ship” – a salute to the Vision 2020 goal of Mahathir for the country to achieve developed nation status by 2020) to contest the 1993 UMNO MKT elections; led by Anwar Ibrahim, then Youth Chief, the slate included Najib Tun Razak, Muhyiddin Yassin, Mohamed Mohd Taib (MB of Selangor) and Rahim Tamby Chik (MB of Malacca State). Anwar was contesting the Deputy President’s post, Najib, Muhyiddin and Mohamed Mohd Taib for the three vice presidents post, and Rahim Tamby Chik for Youth Chief. Arrayed against them for the three VP posts were Abdullah Ahmad Badawi, Sanusi Junid (both ministers) and Isa Samad (MB of Negri Sembilan). The Asean Economic Community (AEC) launched with much fanfare yesterday seeks to offer prosperity to its 625 million people, but a civil society leader cites the region's annual smoke problem as a symbol and test of whether it can live up to the promise. 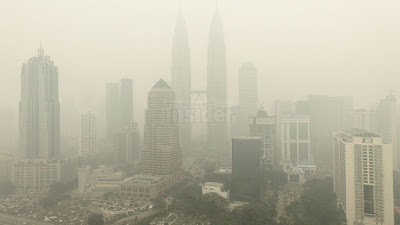 KUALA LUMPUR, Nov 9 (Reuters) - To get an idea of how fragile Malaysia's external account is, consider this: the amount of foreign money invested in ringgit bonds and the dollar borrowings of its banks will together more than wipe out the country's currency reserves. 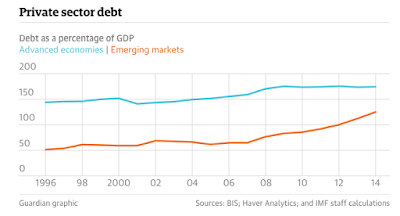 Eighteen years after being battered by the Asian financial crisis, Malaysia is once again facing a perilous combination of heavy short-term overseas borrowings by banks and scarce foreign exchange reserves. Add in a festering political scandal and looming interest rate rises in the United States and the country is showing many of the symptoms that could presage another currency crisis. 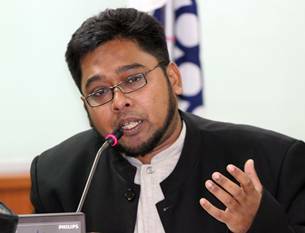 Nizam has consistently taken the position as point-man for those opposed to the TPPA recently negotiated by the 12 governments of the Pacific Region. He is chairman of the lobby group Bantah TPPA (Against TPPA). He is also the Executive Director of MTEM (translation: Malay Economic Action Council) a research body set up under the National Malay Chamber of Commerce and Industry. The following article is a propo the position taken by the Council. The disclosure of the finalised texts of the Trans-Pacific Partnership (TPP) agreement has confirmed our worst fears about the purported 21st-century agreement. Despite what governments and cheerleaders claim, our concerns have not been overblown, and it only goes to show what happens when we allow a select few – their every move monitored and driven by multinational commercial interests – to craft a deal behind closed doors. Given that we will be legally bound to follow the TPP – or face trade or other sanctions should we be found in violation – the prospects are dire. Malaysia’s Spectacular Drop in Inequality, is it for Real? Kamal Salih's Comments - My colleague Dr. Lee Hwok Aun (HA) from the Department of Development Studies at FEA, University of Malaya, wrote this piece which expresses some doubt about recent official figures relating to inequality in Malaysia. HA together with Dr. Muhammed Abdul Khaleed and I co-authored the first UNDP Malaysian Human Development Report 2013, which was released last year, analysed many of the underlying factors in Malaysian Inequality situation. The EPU also calculated the Gini Coefficient based on the latest Household Expenditure Survey (HES) instead of the Household Income Survey (HIS) and found that the HES Gini is even lower at 0.33 compared to the 0.401 according to the HIS data. We had counted that the improved figure is due largely to the debt component in the household fiscal capability (purchasing power) figure. This is consistent with high household debt levels in Malaysia. This too should not distract us from Hwok Aun's incredulity at the official inequality assessment. Income inequality has fallen sharply in Malaysia. The divide between rich and poor phenomenally narrowed the past few years. If only you knew. Judging by public discourses and perceptions, most people do not know. And most of the time we talk about inequality, we hear the opposite: inequality has been rising and rich-poor gaps are widening. 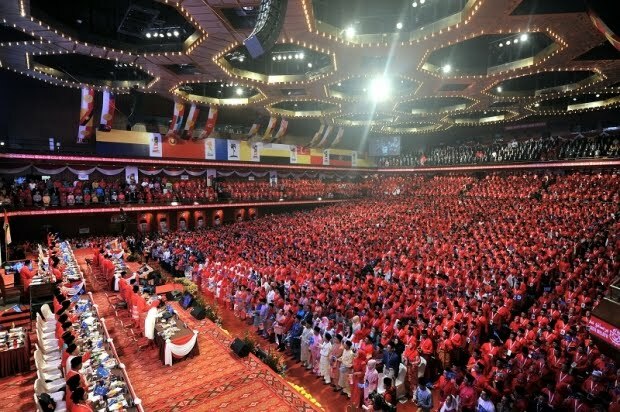 Writings on our socioeconomic condition, such as the commendable "Rich Malaysia, Poor Malaysians" by Anas Alam Faizli, largely argue that the benefits of economic growth trickle down to the masses much less than the affluence sucked upwards to the rich. The government knows about this massive decline in inequality; our official statistics plot out the trend. The Gini coefficient, a figure between 0 and 1, is a widely used, simple and effective measure of inequality. The higher the Gini, the more unequal the distribution. Visualising it helps. Malaysia's Gini coefficient series shows a clear downward trend in household income inequality from 2004 to 2012, after which it falls off a cliff. In 2014, inequality plunged to the lowest level ever. These calculations are based on the Household Income Survey, a large and nationally representative dataset, and the best resource for computing income statistics. But are we handling the dataset properly? The latest inequality figures painfully stretches the limits of plausibility. The data have been reported, without any attempt to explain possible causes for such a spectacular outcome. Even if we can rationalise this downtrend in inequality, could it have dropped so steeply? 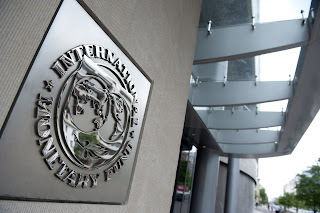 Malaysia is one of several emerging economies at risk in the event of a global financial crash because of its high debts and unstable economic situation, the International Monetary Fund (IMF) said. In a report by The Guardian, the fund highlighted corporations and financial institutions which relied on massive debt financing to maintain growth, adding that Malaysia was one example of countries allowing their their largest corporations to borrow heavily. 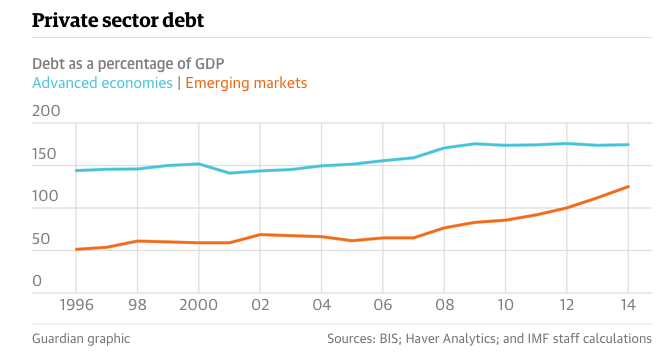 Other emerging economies included Brazil, Turkey, India and Argentina. IMF financial counsellor Jose Vinals was reported as saying that the threat of instability and recession shadowing such countries could knock 3% off global gross domestic product (GDP). “A collective effort to deliver a policy upgrade is needed urgently to face up to rising challenges in an uncertain world, to ensure financial stability and better growth prospects. 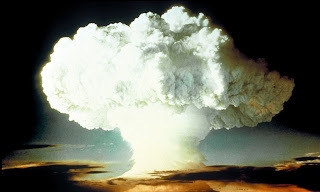 Three per cent of global output is at stake,” he was quoted as saying. 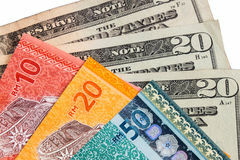 This year, the ringgit has fallen nearly 20% against the dollar and the nation’s foreign reserves dropped by about the same percentage, to below US$100 billion (RM413 billion). “It’s almost like a perfect storm for Malaysia,” Minister in the Prime Minister’s Department Datuk Seri Abdul Wahid Omar said in a report by Reuters. A widening political scandal and tumbling currency have steadily taken their toll on investor sentiment towards Malaysia, unnerving its neighbours despite the central bank’s efforts to contain the damage. Bursa Malaysia has also been wiped out since July, primarily by the escalating political fallout from allegations of graft and mismanagement swirling around indebted state fund 1Malaysia Development Bhd (1MDB). The scandal has amplified concerns that the country is emerging as the weakest link in a region struggling with falling commodity prices, feeble global demand and impending interest rate rises in the United States. – October 10, 2015. Can Malaysia Deliver Inclusive Growth? In Asia, as elsewhere in the world, there is a growing consensus that economic growth should not be a country’s ultimate policy objective. Broad-based improvement in living standards matter as well. And while it is hard to raise living standards without economic growth, it is certainly possible for a country to achieve impressive strides in GDP per capita without most of the population feeling the benefit. 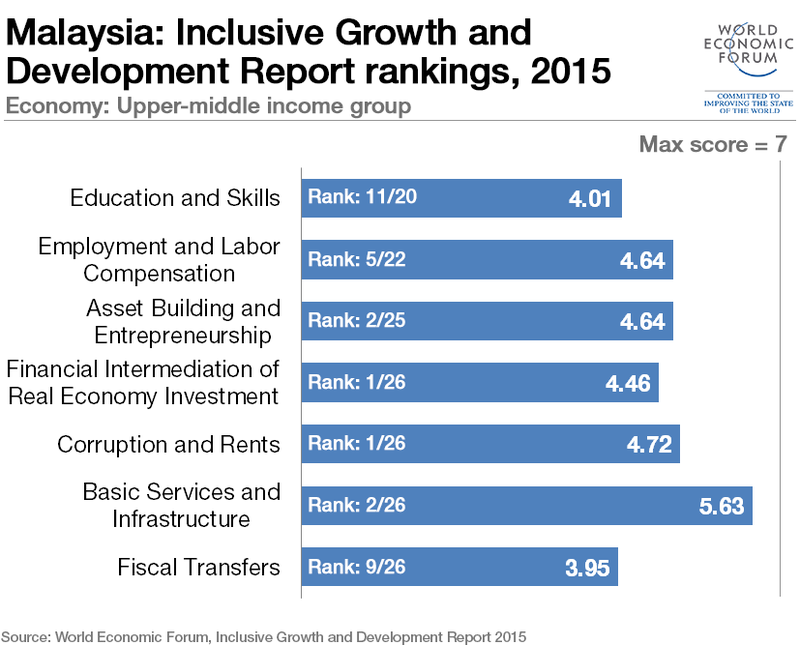 According to a new contribution to this research by the World Economic Forum, one country that is doing most things right given its level of development is Malaysia. The Forum’s new Inclusive Economic Growth and Development Report 2015 identifies 140 indicators that are thought to contribute to an economy’s capacity to grow inclusively. These 140 indicators are grouped into 7 pillars and 15 sub-pillars. Not a single country scores above average in all sub-pillars relative to its peers, but Malaysia is one of a handful that come close. Because there is no research consensus on the relative importance of factors that could contribute to inclusive growth, the report does not attempt to rank countries overall. Instead, it ranks them on each indicator against a group of peer countries at similar income levels. The aim is to enable meaningful comparisons of relative strengths and weaknesses. A comparatively low level of corruption is among the country’s strengths, with Malaysia ranking top among the 26 countries in the upper-middle income range for indicators such as ethical behaviour of firms and public trust in politicians. It also scores top on a measure of avoiding market dominance by incumbents.